This edible park is open to any and all foragers. 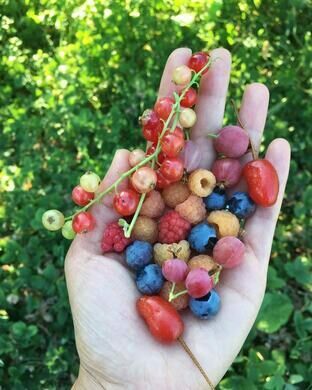 Seattleites have transformed seven acres of Beacon Hill, a neighborhood situated in the southeast corner of the city, into what may be the country’s largest food forest. This stretch of public land invites any and all to forage and reap what gardeners have sown. A huge musical sculpture and other art installations on the National Oceanic and Atmospheric Administration grounds. 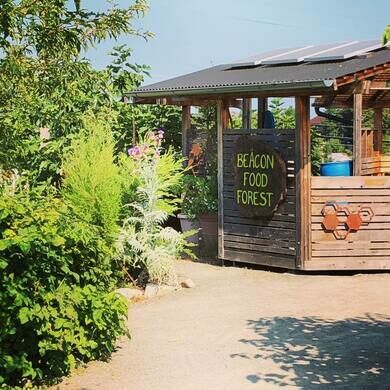 The Beacon Food Forest is the first public, edible permaculture garden of its size. Back in 2009, planners began the edible park’s design by mimicking a forest ecosystem with edible trees, shrubs, perennials, and annuals. All the plants are positioned in a layout that helps sustain mutual growth. 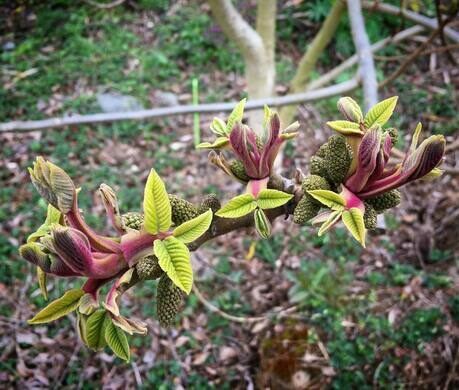 Instead of depleting soil nutrients or choking out other species, the trees and shrubs in the nut grove, berry patch, and herb garden are strategically situated with longevity and sustainability in mind. Historically, residents of Beacon Hill have struggled with access to affordable, local, organic produce. Rather than place the onus of responsibility on each individual, the minds behind this forager-friendly forest envisioned a collaborative growing space. Simply meant to provide visitors with the opportunity to eat and harvest, the forest neither requires nor suggests paying due diligence in order to enjoy the fruits of communal labor. This distinguishes Beacon from community gardens, where yields are often accessible only to those who manage the crops. 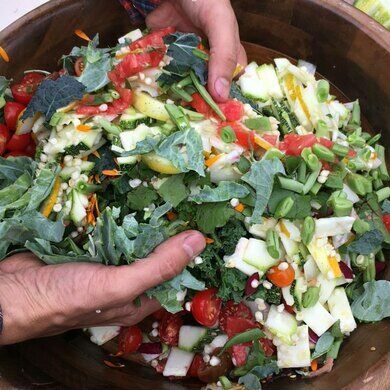 For those interested in contributing to the growth of the Beacon Food Forest: The community hosts regular work parties that involve shared outdoor lunches and garden maintenance tasks. They also host educational events, plant walks, and classes on subjects such as plant rearing and botany. However, those who are simply curious and hungry should feel more than free to go pick themselves a snack. The Sound Transit Link Light Rail and the King County Metro routes #50, #60, and #36 are within walking distance from the forest. Beacon Food Forest hosts work parties on the third Saturday of every month, from 10:00 a.m. to 2:00 p.m. Don't forget gardening gloves, water, and a small donation for lunch. Check out upcoming dates on the forest's website. This quirky Seattle joint serves food inside an old train car once used by FDR. This botanical garden outside Chicago boasts an array of over 300 varieties of lilacs. This former crime corner has been turned into an eclectic community center.